The state of California has handed over a check to the Entertainment Software Association in the amount of $282,794, and it appears they'd like to fork out even more. The payment covers the association's legal fees related to a 2005 videogame law, which was struck down as unconstitutional in August 2007. The law, driven by state senator and noted videogame critic Leland Yee, would have required "high-visibility" labeling of games and also prohibited their sale to minors, but Judge Ronald Whyte struck it down, ruling that videogames required the same First Amendment protections as books and movies. 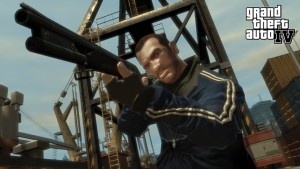 Whyte also questioned the assumptive link between videogames and real-world violence, writing, "The evidence does not establish that videogames, because of their interactive nature or otherwise, are any more harmful than violent television, movies, internet sites or other speech-related activities." California is far from the first U.S. state to find itself on the hook for the ESA's legal costs following failed attempts at restrictive videogame legislation: Minnesota and Louisiana both had to eat ESA lawyers fees, but got off relatively lightly at $65,000 and $92,000, respectively; Illinois, on the other hand, chose to fight the ruling in appeals court, and was clobbered for almost a million bucks for its trouble. "California deserves more from its legislators than pursuing flawed legislation," said ESA Chief Michael Gallagher. "State employees are facing pay cuts. California's services are being scaled back. And anxiety is rising is Sacramento to find funds. Rather than tackling real problems affecting Californians, they chose to waste time, money and state resources. It is shameful that legislators pursued personal agendas in spite of the facts." State Governor Arnold Schwarzenegger recently ordered the layoff of more than 10,000 state workers, according to the Los Angeles Times, while 200,000 more are facing the possibility of having their pay cut to $6.55 per hour, the federally mandated minimum wage. Sadly for both videogamers and taxpayers, Schwarzenegger appears determined to throw good money after bad; following Whyte's ruling, the governor announced his intention to "vigorously defend this law" in appeals court, an action which is still underway. "It is unfortunate that the state is stubbornly pursuing an appeal that is likely to lead to even more court-awarded fees," Gallagher said.